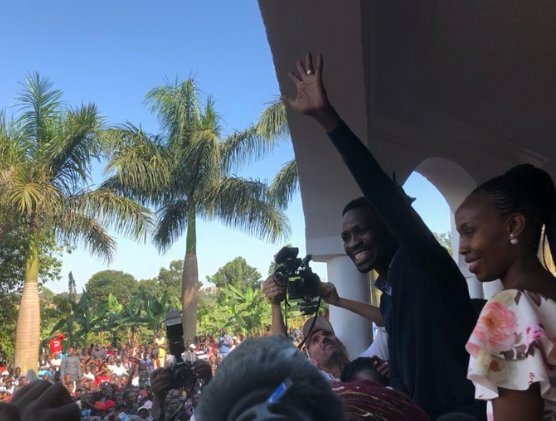 In an eventful week, Kyadondo East MP Robert Kyagulanyi aka Bobi Wine returned to the country amid heavy military deployment in areas around Entebbe Road and Kampala suburbs including his residence in Magere in Wakiso district. Security forces including the UPDF and the Police on Thursday whisked Bobi Wine away from the Entebbe international airport, where his supporters were not allowed to greet the legislator after his arrival from the United States where he underwent medical treatment after injuries sustained during the Arua Chaos fracas in August this year. Bobi Wine was “unlawfully detained by military officers”, his US-based lawyer Robert Amsterdam initially announced on Twitter as his supporters threatened to pour on streets demanding for the legislator’s freedom. 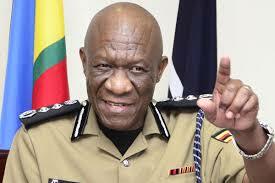 Police chief IGP Okoth Ochola, however, said he was taken to his home but was not under arrest. 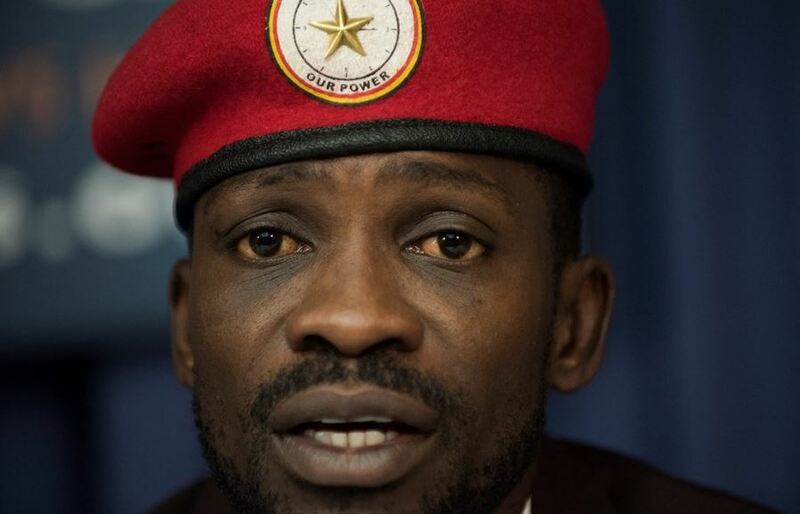 Bobi Wine had sought treatment in the US for injuries allegedly sustained during torture by members of the presidential guard the SFC, which the government denies. 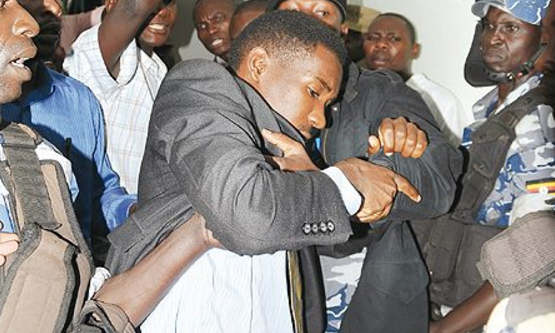 The youthful MP was charged with treason along with more than 30 others after President Yoweri Museveni’s motorcade was stoned by ‘opposition supporters’ last month. Bobi Wine and the other opposition leaders deny the charges. Police detained the singer’s brother Eddie Yawe and at least two other MPs Allan Ssewanyana and Asuman Basalirwa who were driving to the airport, without explanation. Police also surrounded the home of Kampala’s mayor, Erias Lukwago, and he was unable to leave. Residents of Magere in Wakiso District broke into celebrations after Bobi Wine was eventually driven to home by security forces. Chanting pro-Bobi Wine songs with red bandanas, the residents welcomed the MP who was being driven in a vehicle. Ahead of his return, security forces set up barriers near the airport and elsewhere around the capital amid heavy security. Bobi Wine who addressed his supporters from the top of a vehicle outside his home vowed to continue the struggle of seeking change in Uganda. 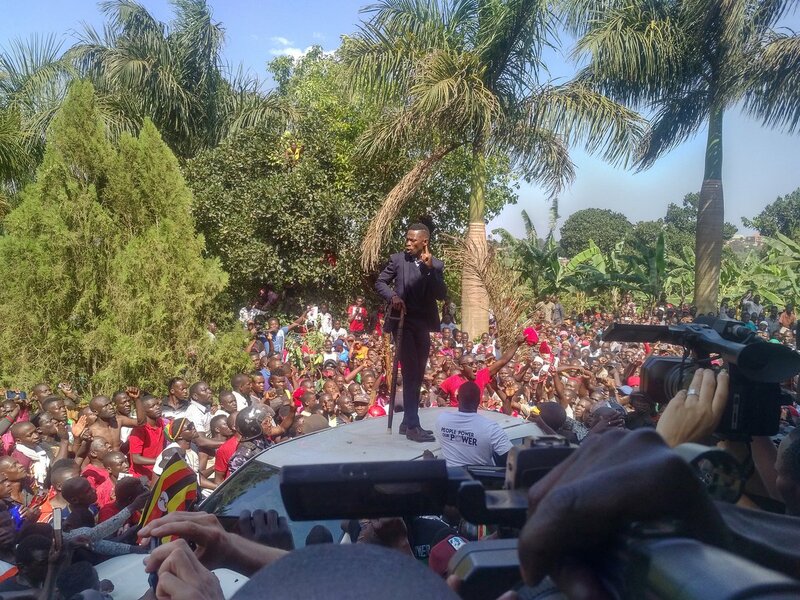 Addressing thousands of jubilant supporters at his home in Magere, Kasangati in Wakiso District, Bobi Wine thanked them for keeping up the spirit alive. “I thank you my fans and supporters for being here for me and my family. The struggle still continues and let’s keep the spirit,” he said atop a vehicle. 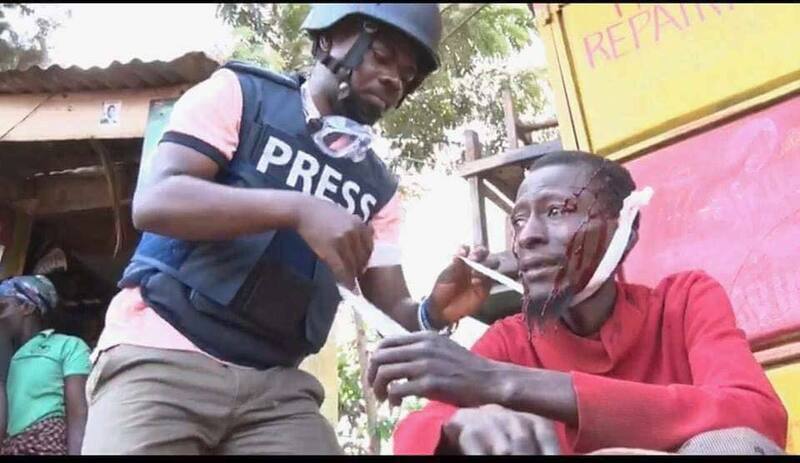 He later told journalists at his home that he was roughed up by security operatives when he touched down at Entebbe Airport at around 12.50pm adding his valuables and passport were taken. But he maintained that he was glad to be back home to continue what he described as a struggle for freedom. 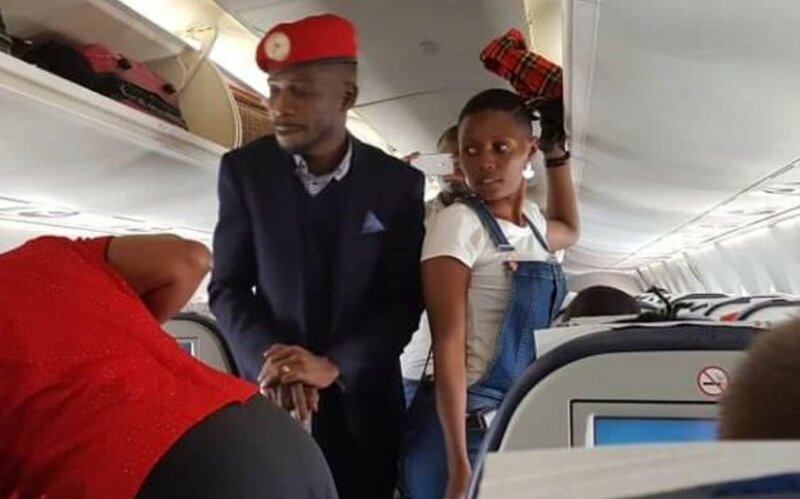 Bobi Wine also revealed that his lawyers are gathering more evidence to hold personally responsible the security officials who were caught on camera beating up his supporters on Thursday when he arrived in the country. “What kind of human beings are these? Are these our brothers and sisters? Are they Ugandans? Of course, as they did all this, they foolishly thought that no one was watching,” he said. He alluded to the video showing soldiers beating up people with herding sticks in Kasangati, with the biggest casualty being one man commonly known as Sweet Pepsi. “And Since yesterday [Thursday], I have been trying to wrap my mind around that video showing soldiers beating up people with herding sticks in Kasangati. One man commonly known as Sweet Pepsi was badly beaten and his head was bleeding profusely. I have talked to him this evening and he is still in pain, although improving,” he wrote. He also alluded to another video that shows police officers bartering a young man inside a police station for supporting People Power. “They are heard jeering and insulting him as they kick him, punch him and do all sorts of things to him. One of them is seen displaying a red t-shirt and as if that’s a crime, he launches another attack on the innocent citizen of Uganda! You can hear him groan in pain, but these police officers, shamelessly putting on our national flag, will have none of that,” he adds. 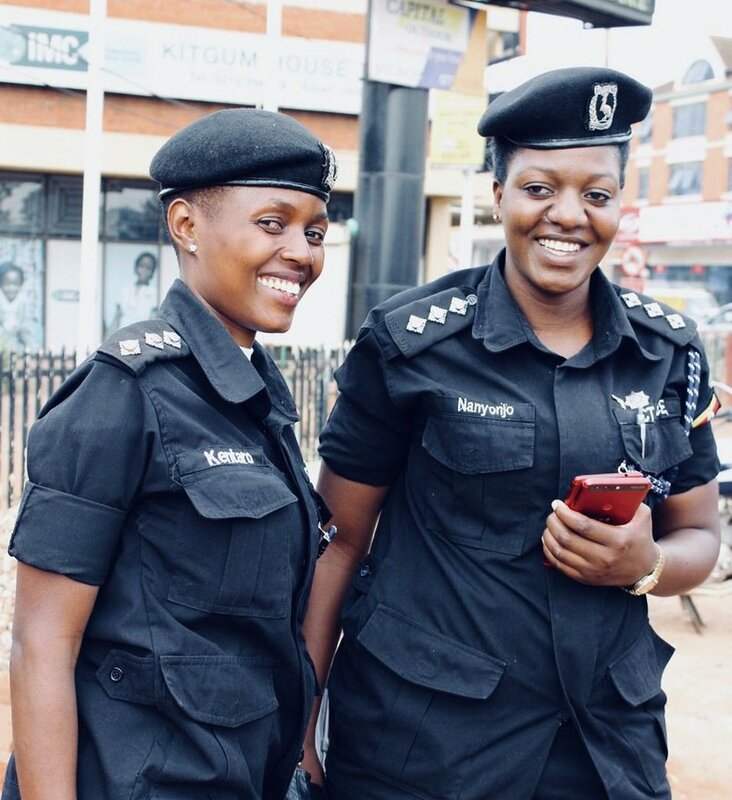 The Uganda Police Force on Friday dismissed allegations that their officer Assistant Superintendent of Police (ASP) Pamella Kentaro was deployed to spy on Bobi [Wine] while he was in the US. Social media on Thursday was awash with photos of ASP Kentaro, attached to the Directorate of Human Rights and Legal Services division, who was on the same flight as the MP returned from the US via Nairobi, Kenya. 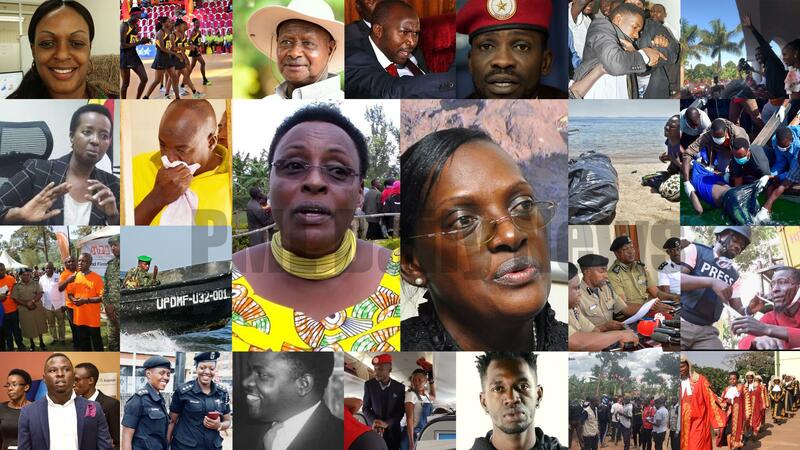 However, branding the information as fake news, a statement issued Friday, clarified that Kentaro met Bobi Wine as she travelled from a workshop in Mombasa Kenya. The statement further indicated that Police cannot deploy as a spy, an officer who has already been seen around in uniform. Earlier, ASP Kantaro also took to social media dismissing claims that she had been planted by the CID, to survey the MP’s plans and meetings abroad. 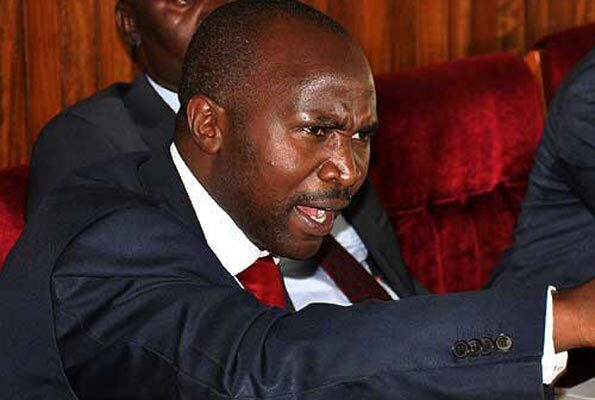 Lwemiyaga County MP Theodore Ssekikubo has agreed with journalist Andrew Mwenda calling on Parliament and President Museveni to take tough action against Bank of Uganda senior officials, especially deputy Governor Dr Louis Kasekende and his clique whom they accuse of messing up the banking sector. While appearing on NBS TV political show ‘The Frontline’, Mr Mwenda, the founder and editor of the Independent, said Central Bank Governor Prof. Emmanuel Mutebile and his deputy Dr Kasekende should be sacked following an expose of the mess created by their incompetence by Auditor General Mr John Muwanga. “I knew what was at the Bank of Uganda. I have investigated corruption in this country. And the Bank of Uganda is rotten.” Mwenda said. 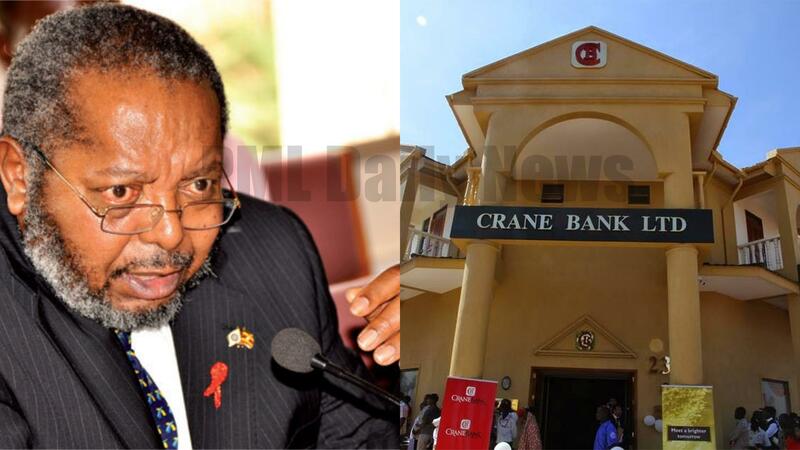 The auditor general this September made public the report on his audit of BoU over the closure of seven banks over the years. Other panellists including legislators Theodore Ssekikubo and Mathias Mpuuga applauded the AG for the bold investigation. Mpuuga said it was an indictment of the Central Bank and wondered why it does not close itself. Ssekikubo added that if what the auditor general tabled comes to be the truth, COSASE should demand that heads should roll at BoU. Elsewhere, the Uganda People’s Defence Forces (UPDF) on Saturday announced the recruitment of Local Defence Units (LDUs) to shore up security in Kampala metropolitan area in line with the recent presidential directive. In a statement issued by Defence and army spokesperson Brig Richard Karemire on Saturday, the recruitment starts on 25th September and will take a week. 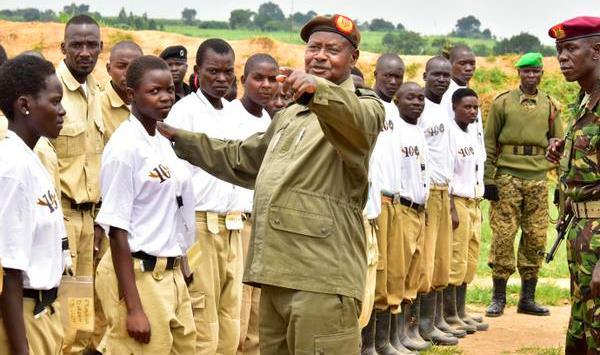 “The President and Commander-in-Chief of the Armed Forces, Yoweri Museveni recently directed a call-up of reserves to support enforcement of law and order in Kampala Metropolitan Area. In fulfilment of this directive, UPDF announces that the recruitment of the Local Defence Units (LDUs) personnel from the Districts of Kampala, Mukono and Wakiso will take place starting on 25th September and end on 1st October 2018,” the statement reads in part.